Place all the dressing ingredients into a blender or small food processor & blitz on high until very smooth. Season to taste. Pour into a sterilised jar & keep in the fridge for up to one week. For the salad, preheat the oven to 180°C (350°F). Cut the beetroot into quarters & place in a bowl with the onion. Drizzle with olive oil, season, mix, then place on a prepared baking tray lined with parchment paper in the oven for 30 minutes until the onion is cooked through. Cool. 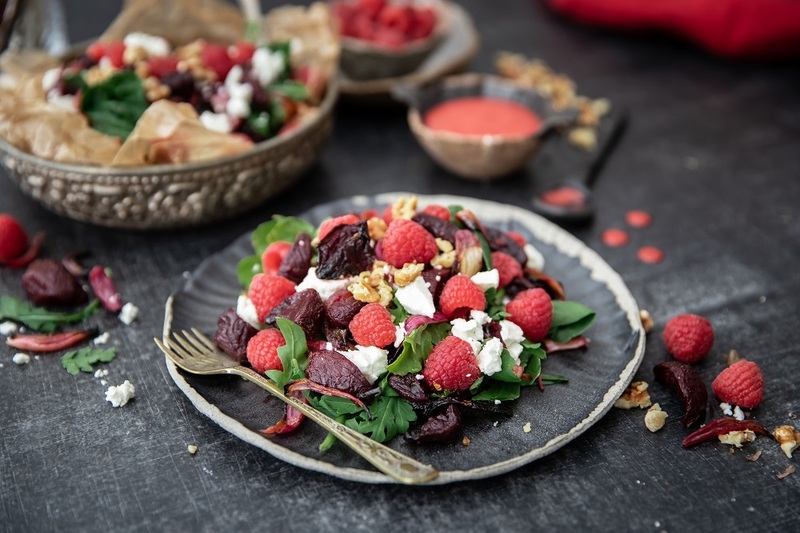 In a salad bowl, place the spinach & rocket, place the beetroot & onion on top, scatter the fresh raspberries, crumble the goats cheese & sprinkle the walnuts. 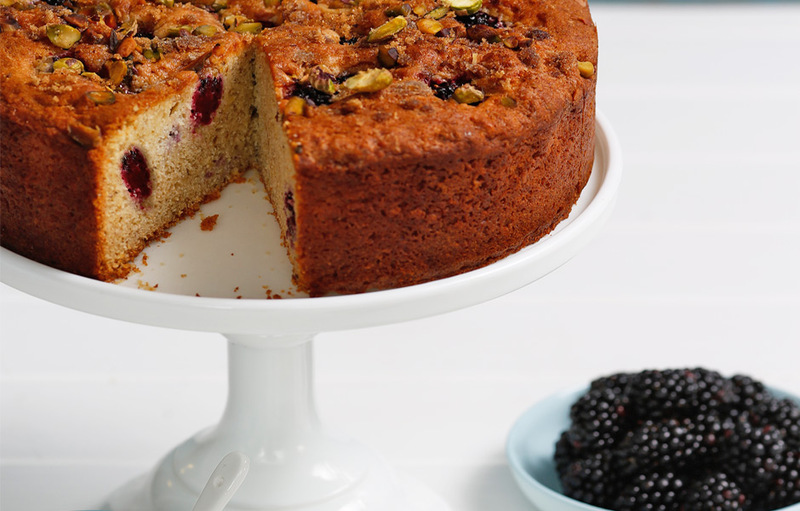 When ready to serve, drizzle with desired amount of raspberry salad dressing.